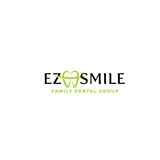 EZ Smile Family Dental Group (Santa Rosa) - Book Appointment Online! I was extremely nervous to go but Dr. Payam Beradina and staff were so friendly and nice.. My nerves only lasted a short time!! I highly recommend this office if you have a fear of the dentist or just like awesome A+ customer service.